Did you know the average American household tosses at least $640 worth of food a year? Trim your waste and your waist, AND satisfy your taste buds with some of these tips, in honor of yesterday’s Earth Day. Don’t go to the grocery store without a list. Take a look of the contents of your fridge and kitchen counters before you head out, to see what you might be able to use up before stocking up again at the market. If you’re tempted to buy something on the spot, you might not be in the mood for it later or really know how to prepare it. It’s also common to overbuy and overestimate your fruit and veggie needs. 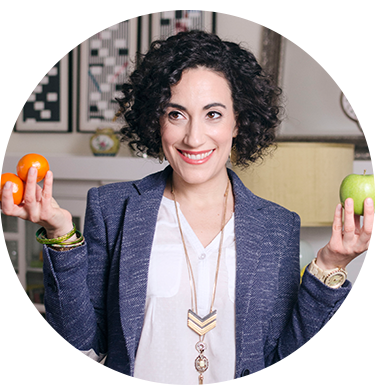 Stick to your list and you’ll cut down on costs and food waste–a win win. If you come across a weird-looking fruit or vegetable with a blemish or a strange offshoot, buy it! Also ask your grocery store to stock these imperfect specimens. Otherwise, they might get thrown out before they ever even make it into the market at all–and what a shame. Think of all the fun you could have with your kids and your camera before you even start making dinner with those beauties. Keep vegetables and fruit in containers where you can see them. If the crisper drawer in your fridge is packed to the brim, you might not remember those radishes in the back corner, going soft. Keeping them in clear containers stacked neatly will allow you to get a quick visual scan when you open the fridge and try to figure out what to make for dinner. Practice the concept of FIFO (first in, first out): Don’t forget about the back of the fridge. Instead, make a point to use the food toward the back that is older than the fresher food in front. Seal crackers, chips and cereal with clips or in airtight containers to prevent them from going stale quickly. If you’re cleaning out your kitchen cabinets and notice some canned beans or pureed tomatoes you know you’ll never crack open, donate them to a food bank or a holiday food drive. Rely on your nose rather than the date labels on food. If the date on your container of yogurt has passed and you’re tempted to toss it, think twice. Neither the “best by” nor the “sell by” dates are precise indicators of when a food is too old to eat–and they’re not regulated, either. It’s up to each food manufacturer to determine those dates, but they’re not always accurate. Often, food is still good for at least several days after those dates, so use your sense of smell and best judgement to figure out if you can use up the food in your fridge. Still confused? Check out this 5-minute film for a more in-depth explanation. Save scraps and ends of veggies when you’re chopping them for salads and other recipes in a ziplock bag in your freezer. When it’s full, you have all the flavors you need to boil up for a rich vegetable broth. The same goes for any chicken bones left over from a rotisserie chicken or bone-in cut of beef: throw them in a crockpot for a rich, gelatin-rich broth–it’s great for your gut, skin and joints, and tastes great! If you’re making a smoothie, toss in whole strawberries (green tops and all), and use the carrot greens for a pesto. Celery leaves can also be added as garnishes for soups, salads or sandwiches. And did you know you can eat the insides of broccoli stalks? Peel off the hard outer layer and you’ll find a delicious, crunchy layer to dip into hummus. Zest your limes and lemons; store them to add flavor to oatmeal, teas and baked goods. Freeze your wilting herbs. Can’t gobble up your fresh herbs fast enough? Chop them, mix with a little water and drop them into ice cube trays. Pull them out and flavor any quick dish in a flash. If you’re feeling a bit more ambitious, consider learning to can or pickle seasonal fruits and vegetables you won’t have time to devour before they go bad. Then you’ll have a bite of fall or summer in the off season while keeping the nutritional benefits intact. Get creative with leftovers. Adding some new veggies to last night’s dinner might make for a freshly inspired breakfast. Or, add leftover eggs to tonight’s rice dish for a homemade fried rice. Feed your pups. They’re begging anyway, right? Make their day by giving them some scraps you’d otherwise throw away. Just make sure the food you’re offering them is non-toxic to animals; foods like chocolate and grapes can be poisonous to dogs. For a full list, visit this link. You can also donate edible odds and ends to a local farm for the animals there. Compost what you just can’t use up. There are many compost options, the easiest of which is to pay for a monthly bucket pickup. For more information about how to compost or find resources in your area, visit https://www.epa.gov/recycle/composting-home. If you choose to compost with commercial compost, you can even throw in bones, meat, cheese and other biodegradable items you can’t at home. 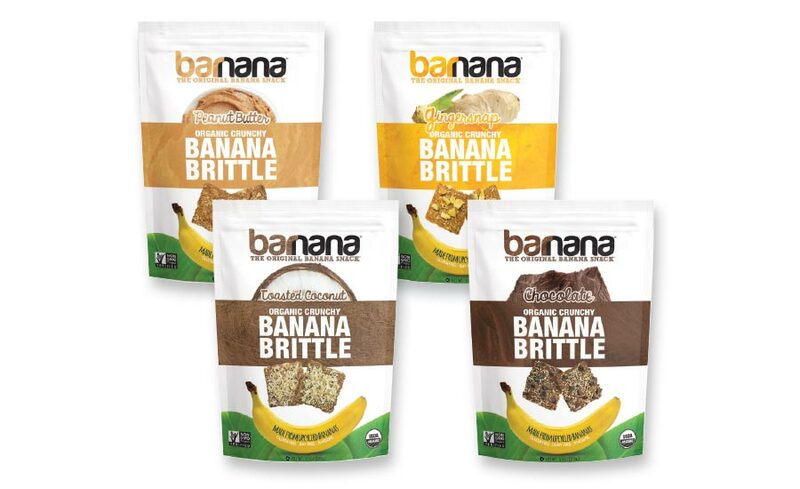 Banana Brittle: I think this is the coolest concept! Made from “upcycled bananas,” the Barnana company saves bananas that don’t qualify to make it off their farm in Brazil by incorporating them into this yummy treat. Learn more about the process here. 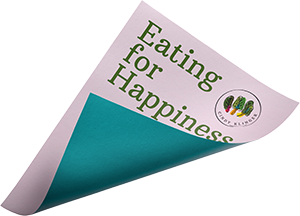 Read about some other creative companies and ideas that are working to reduce and reroute food waste here and here.